I have to confess that as I was writing this review, I was actually eating chocolate – and enjoying it too! – so you can imagine how my heart sank when I read Lama Yeshe’s admonishment: “Ultimately, you can’t rely on chocolate.” Gulp. Of course, Lama Yeshe, with characteristic clean-clear pointedness, is simply referring to Buddhism’s most fundamental premise: namely, that if you believe that happiness comes from outside of your mind and heart, you’re deluding yourself. 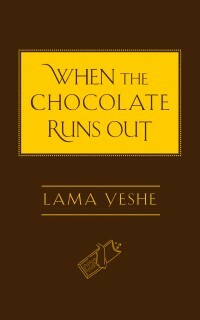 When the Chocolate Runs Out is filled with other such maxims and insights, and is clearly inspired by Lama Zopa Rinpoche’s How to Be Happy. Editors Josh Bartok and Nicholas Ribush have skillfully woven Lama Yeshe words to create something comparable to a meditation guide and by reading through the text slowly, one is essentially reflecting on all the major points of Tibetan Buddhism, except without the jargon that can potentially stifle the transformative experience for newcomers. And because of its accessibility, it makes a great gift, even for non-Buddhists. But don’t be fooled by the billing “a little book of wisdom.” Yes, the book is small, but you won’t be doing yourself any favors associating it with a cheaply made, lack-luster Hallmark gift book. This is the real deal, and Wisdom Publications should be proud that they’ve helped to make more of Lama Yeshe’s insights more broadly available. The first English-language work based of Chöje Ngawang Palden’s Illumination of the Tantric Tradition was Daniel Cozort’s Highest Yoga Tantra, first published in 1986. It is a highly accessible introduction to all classes of tantra, particularly highest yoga tantra, based off Palden’s root text and the oral commentary of the former Ganden Tri Rinpoche, His Holiness Jambel Shenpen. Principles of Buddhist Tantra is similarly based off Palden’s text, but it offers a lot that cannot be found in Highest Yoga Tantra, making it a worthy addition to your library, even if you have already enjoyed Cozort’s work. Kirti Tsenshap Rinpoche was largely considered a master of tantric topics, and was revered even by His Holiness the Dalai Lama for his spiritual accomplishments. Rinpoche’s line-by-line commentary on Palden’s text allows a detailed explanation of Palden’s points. 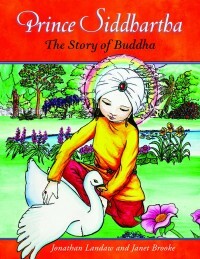 Also, Principles of Buddhist contains the full translation of the original root text, affording the readers the unique opportunity to engage with source material. 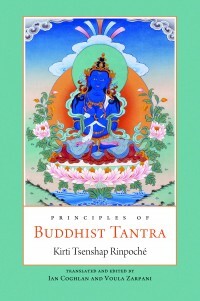 The book covers the four classes of tantra, focusing primarily on highest yoga tantra, and concludes with a discussion about the unique features of the Kalachakra tantra, soon to be taught by His Holiness the Dalai Lama in Washington, D.C., in July 2011. 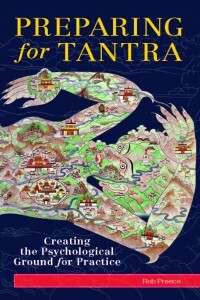 In Preparing for Tantra, long-time Buddhist practitioner Rob Preece takes a fascinating look at the preliminary practices from a psychological point of view. Preece, a student of Lama Tubten Yeshe, Lama Zopa Rinpoche and Gen Jhampa Wangdu, draws from his experience as a meditator and psychotherapist to suggest a deeper and more nuanced view of the preparatory activities that form the foundation of tantric practice. Preece has been practicing Tibetan Buddhism since 1973 and psychotherapy since 1988. His extensive knowledge of tantra and fluency with Western psychology blend into a compelling and clear exploration of the preliminary practices. In Preparing for Tanta, Preece methodically considers each preliminary practice in turn. He seeks to broaden our understanding, illuminating “some of the ways in which the preliminary practices can be of immense psychological benefit, if engaged with creatively to bring out their essential qualities.” Both current and future tantric practitioners could benefit from this informative book and come to see their preliminary practices as not just something to “get through” but transformative in their own right. Perhaps Path to Geshe‘s greatest strength is that is allows the audience to see and hear the vibrancy of Sera Je Monastic University, one of the three great Tibetan Buddhist monasteries in exile and the source of many of the greatest Tibetan teachers of today – a rare treat for many of us unable to make the long trip to India. Filled with intimate footage, moving stills and a powerful original score by Joseph Patrick Moore, Path to Geshe is an entertaining introduction into the lives of the devoted monks who spends up to 25 years mastering revered Buddhist texts before taking teaching and leadership roles in their communities. 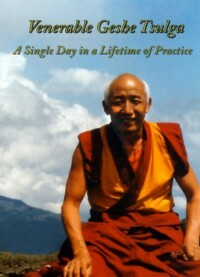 On November 21, 2010, Geshe Tsulga passed away peacefully an excellent monk, a selfless man, and inspiring teacher, and in Lama Zopa Rinpoche’s words, “an Olympic Dharma champion.” A Single Day in a Lifetime of Practice, released just three years before Geshe-la died, takes us through a day in the life of this great scholar and practitioner. The style of the documentary itself is profoundly quiet, unpretentiously mimicking what one can only be imagined as not only the tranquility of Geshe-la’s environment, but also the stillness of his mind. The content of the documentary is fairly simple and not particularly ground shaking, but Geshe Tsulga’s genuine warmth and goodness are undeniable, and to listen to him speak feels – in some inexplicable way – special. Those that knew Geshe Tsulga in person were very fortunate indeed. 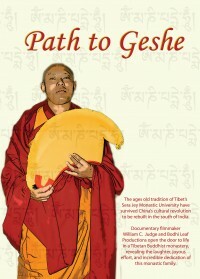 Judge, a devoted student of Geshe-la’s, uses the income raised through the sale of the documentary to directly support The Geshe Tsulga Non-profit Corporation, a group dedicated to carrying out the charitable wishes of Geshe Tsulga. Mandala Publications published Geshe-la’s obituary and an extensive feature on his inspiring death, unwavering devotion to His Holiness the Dalai Lama, and profound influence on his students in the April-June 2011 issue. At the age of 22, Stephen Schettini, like many other disillusioned young Westerners coming of age in the 1960s and early 1970s, packed an army surplus canvas rucksack and left university and the anticipated comforts of a traditional middle class lifestyle in England to find answers to life’s bigger questions in Asia via Europe and the Middle East. He arrived in Dharamsala, India, in 1974 and took teachings with Geshe Ngawang Dhargyey at the Library of Tibetan Works and Archives. While there, he met another Westerner who suggested he should go to Kopan where a “hippie lama” was said to be teaching Buddhism in English. Stephen made the trek up Kopan Hill in Nepal in time for the 1974 meditation course. Of course, the “hippie lama” was Lama Yeshe. Lama Yeshe instructed Stephen to study with Geshe Rabten upon his return to England. After meeting Geshe Rabten, Stephen quickly decided he wished to be a monk and study at Geshe Rabten’s monastery, Tharpa Choeling (now called Rabten Choeling), in Switzerland. Also there at this time were other young Western monks including Alan Wallace and Stephen Batchelor. For the next eight years, Stephen studied with Geshe Rabten and also at Sera Je Monastery in India before ultimately disrobing in order to integrate all he’d learned more fully. 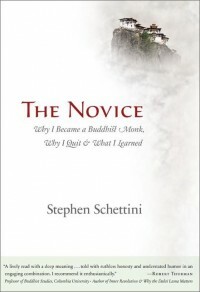 Stephen’s memoir, The Novice: Why I Became a Buddhist Monk, Why I Quit & What I Learned, is a fascinating, lively and well written account of Stephen’s early life on the Buddhist path and his decision to leave it in order to teach mindfulness techniques in a secular way, careful to distinguish between Buddha and Buddhism. This is a highly recommended read for students of Lama Yeshe and Lama Zopa Rinpoche interested in the early days at Kopan, or anyone inspired by an honest account of a truly spiritual journey. 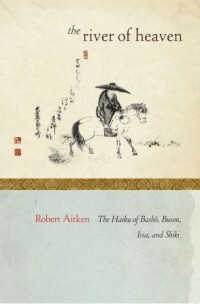 In his book The River of Heaven, Robert Aiken, an American senior Zen roshi, explores the haikus written by poetic masters Bashō, Buson, Issa and Shiki. Aiken turned in his final draft of the manuscript not long before he died, at the age of 79, in August 2010. The book reflects the mature mind of a dedicated Dharma practitioner, spiritual activist and student of haiku, having first traveled to Japan to study haiku in 1950. Aitken co-founded the Diamond Sangha in Honolulu in 1959 and the Buddhist Peace Fellowship in 1978, illustrating his experiential understanding of both the worlds of action and of contemplation. His translation and commentary on these delicate, brief poems offers the reader an opportunity to pause and perceive the small yet profound details of daily life. The first edition of Prince Siddhartha exposed the world to the life story of the Buddha in such a gentle and authentic way that it is no surprise that it has become one of Wisdom Publications’ most popular titles. As an exercise, parents might want to consider reading one chapter a day with their child for a month, taking the time to savor not only the accessible prose and beautiful images, but to discuss and reflect on the spiritual lessons at the heart of these ancient stories. Older readers, however, might benefit from sneaking away with this book to their favorite hideaway and having the tender spots of their hearts and minds exposed as they watch the Buddha’s miraculous birth, disenchanted youth, remarkable teaching career, and inspiring death unfold. Prince Siddhartha even makes a great gift for non-Buddhists who may be uninterested in Buddhist dogma but would benefit from acquainting themselves with one of the world’s most beloved religious figures. The hobo shares his wisdom with the All-Seeing Boy, teaching him about compassion. In Kettles’ book, the hobo describes for the All-Seeing Boy the thing that he can do to help others; he teaches him about blue sky thoughts. While not explicitly described as such, the hobo gives the All-Seeing Boy a meditation practice. The child-friendly Blue Sky of Happiness meditation is a simple, gentle visualization that anyone can do to help others feel better. A percentage of the books proceeds will go towards supporting SOS Children’s Villages’ work with the Tibetan community. 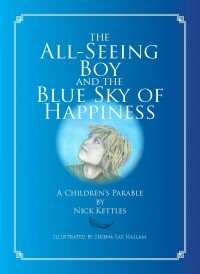 More information about the book, the meditation practice and SOS Children’s Villages can be found on Kettels’ website.